Strawberries are grown in abundance in Mahableshwar, in the state of Maharashtra. It was only a matter of time before someone would think about making Strawberry Wine here. Yet, surprise, surprise, it wasn't until 2011 when team Wild Berry -nature lovers, and wine connoisseurs - decided to bring Strawberry Wine to India. 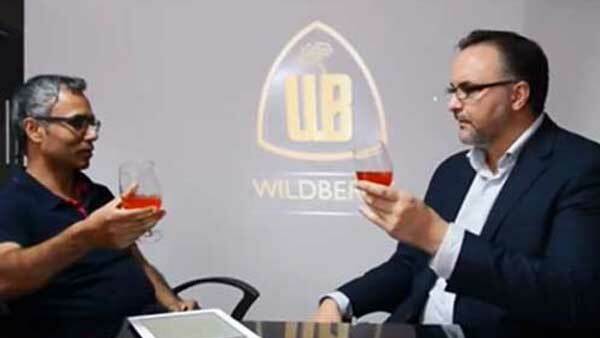 Wild Berry is Sangramsinh Nalawade and Sagar Parakhe dream of bringing fruit wine to India. Mr. Sangramsinh Nalawade has a wide experience in food industry. He has proved his mettle as a successful administrator of two of his own ventures; Sugar Mill ECO CANE SUGAR ENERGY LIMITED & Nalawade Dairies Ltd. Mr. Nalawade has always maintained quality and integrity in his business deeds, by constantly motivating rural farmers and facilitating employment to the rural youth force. With his experience in food industry, global vision and a leadership quality Mr. Nalawade brings in huge energy to Wild Berry. A dream can be achieved with a desire and will power, but it needs strong support and a trust to makes it easier. Mr. Sagar B Parkhe is playing key role of Production management and QC in company. He has motivated and inspired the Wild Berry production team to achieve great success in a brand-dominated market. With the passion of working on fruit wine and with guided research and hard work on fruit processing he has achieved to introduce Indians first 100% pure fruit wine. So, here it is. 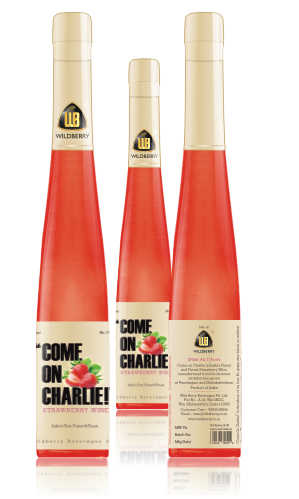 ‘Come On Charlie!’™, Sangramsinh’s, Sagar’s labour of love and of Dominic’s, who spent a good part of a year away from Canada - his homeland - to make India’s finest and purest Strawberry Wine. A sneak peek into fruit wine. Fruit Wine It is made from the juice of quality ripe fruit, not blended with grape wine or with added color or flavors. It is naturally fermented with yeast and derives all of its alcohol from natural fermentation of the ingredient fruit. The alcohol content in wine can vary, but typically, it has an alcohol level between 7 and 15%. Difference Between Fruit and Grape Wine Although both fruit wines and grape wines are made by fermentation, fruit wines are usually chaptilized and special enzymes are added to increase its aromatic qualities, while grape wines are not. Fruit wines can be a little difficult to make due to the fact that more adjustments and balance is required than is needed with grape wines. In terms of food-matching and cuisine, most fruit wines tend to match better with Asian and spicier food such as Indian cuisine. Most grape wines, especially red wines match better with typical Western cuisine. Importance of Unblended Fruit Wine There are many ways to make wines. With regards to fruit wine, they are made with concentrates, some juice, and some whole fruit. Others are a combination of these blended with grape wines that are readily available on the open market. Still, other wines are also made in a highly diluted manner and added with flavoring, often artificial. The best fruit wines are the ones made from whole fresh fruit, without dilution, and flavors. The wines of Wildberry are 100% pure, whole fruit wines. Purity 100% pure fruit wine will have a natural flavor that is a true expression of the fruit stated on the bottle. A blended wine or flavor added wine will not have a natural taste if compared with a pure fruit wine. The flavors will be more muted and simple and lack complexity. A true wine lover and connoisseur will know the difference! It is that obvious! Over the last few years, they have built their dream to establish one of the first fruit wineries in India and pride themselves to be makers of 100% pure fruit wine. They are committed to quality and I must say, the quality of fruit in the Wai area is top notch and rivals the quality of fruit I have found in many other parts of the world. A World Renowned Wine Maker. India's finest and purest fruit wine. 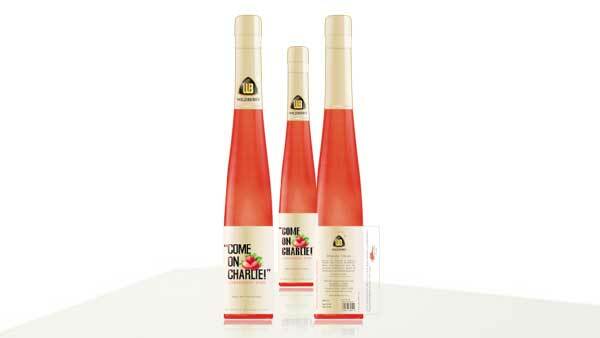 ‘Come On Charlie!’™ is one flirty drink. It will tease your olfactory, water your mouth, and take you to a heightened sense of being. Not unlike Charles Xavier, the self-styled savoir of romantically tortured souls, after whom the wine is named after. 'Come On Charlie! '™ fosters romance, friendship, and unbound optimism. Made from fresh and handpicked strawberries from the fields of Mahabaleshwar, 'Come On Charlie! '™ is an unblended masterpiece to be hailed as India's finest and purest Strawberry Wine. Colour: Brilliant light pink colour, quite intense, pink-orange shades. Vinfication: The strawberries, picked manually and fermented at cold temperatures with special aroma enhancing yeasts and enzymes, using a special production technique designed to meet the discerning tastes. Serving Temperature: Well chilled, 9oC or below. This wine is specially designed to go well with most festive dishes, including Indian cuisine and all types of barbecues. It can be enjoyed as an aperitif and is an excellent partner to pastries, fruit and ice cream. A wonderfully aromatic wine that will be loved by wine lovers of all ages! 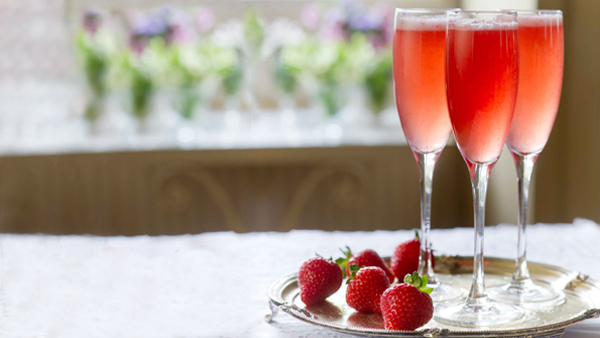 Has a gorgeous and clean and pure strawberry aromas, with a smooth and delicately fruity character. This wine was produced with care and passion to be enjoyed by all. This wine was developed and designed by international acclaimed winemaker Dominic Rivard for Wild Berry Beverages Pvt. Ltd. And to be “The Best Choice for Fruit Wine Drinkers”. 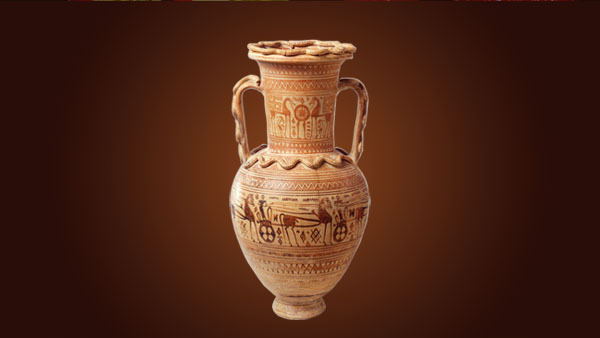 Wine Making involves lot of craft and skill to give people the purest and finest. We have not compromised one bit on quality. We have a farm and special person to supervise the proceedings. Perfection comes easily to us and quality is in our genes. The man who made India’s finest and purest fruit wine. 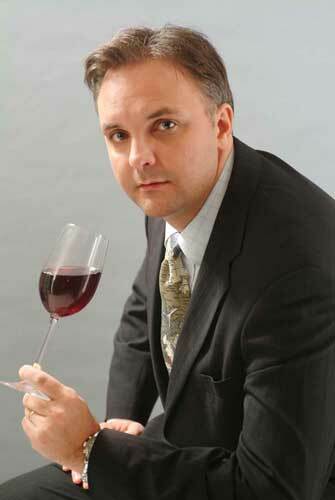 Dominic Rivard is a Winemaker, wine consultant, and the author of the Ultimate Fruit Winemaker's Guide. He is also involved in the wine industry as an award-winning commercial winemaker, who is passionate about wines, especially of the "non-grape" variety. He was born in the province of Quebec, Canada and comes from a rich heritage of farmers and entrepreneurs, whose ancestry can be traced to the cider making regions of North-Western France. He is the founding director of the Fruit Wines of Canada Association, which is involved in promoting wines and its industry throughout Canada. Although he evidently recognized India to be a Whisky, Rum, and Beer drinking country, he also set his mind on making a fine wine in India and thereby breaking a norm which says "India cannot make wine." Not many know that the Mahabaleshwar region is the largest producer of strawberry in India. Presently, 1,350 farmers cultivate the fruit in 34 villages across Mahabaleshwar. They produce approx. 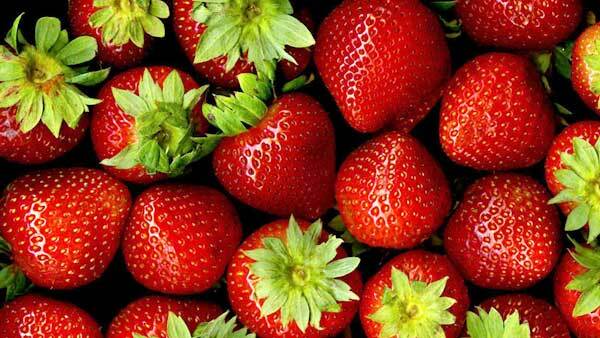 13,000 metric tons of strawberries every year. 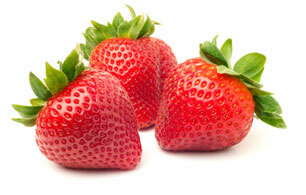 Frozen strawberries are exported to Belgium, France, Sri Lanka, Australia and many other countries. In fact, Big Bazaar introduced the strawberry festival to Mumbai in February for the first time. Pune is also warming up to the idea of a strawberry festival. The Mahabaleshwar Strawberry Festival started seven years ago and is growing strong with each passing year. Since 1992, Mahabaleshwar has become synonymous with strawberries. Earlier the place was an escape from the fast, hectic and anxious city life. Now, when you escape, you escape to strawberries. The scenic spots are better enjoyed with this fruity snack, and people "spare no expense". Whether it is a romantic getaway with your partner or a family outdoor activity, strawberry is the extra person throughout the trip. The scene of people enjoying it everywhere – from suicide point to the central bazaar is a familiar sight. They literally eat it like peanuts, and once you begin gorging on them, you just can't stop. And if the fruit by itself was not enough, dozens of strawberry-based dishes like strawberry and cream, milkshakes, and ice creams make people salivate all the while. This has resulted in a huge demand for strawberry from Mahabaleshwar. This demand is being met with the requisite supply and productions have bloomed. Indians drink alcohol with one motto – to get drunk as fast as possible, to be drunk as long as possible. This is a relatively new trend. Alcohol consumption in India has evolved from sporadic drinking to occasional and now is a part of social interaction and events. However, casual drinking has still not found its way into the Indian society. The goal is still to get sloshed with as much alcohol as possible and then boast about your 'capacity'. The culture of fine drinking where people appreciate fine liquor for its taste and brew is still to be inculcated. 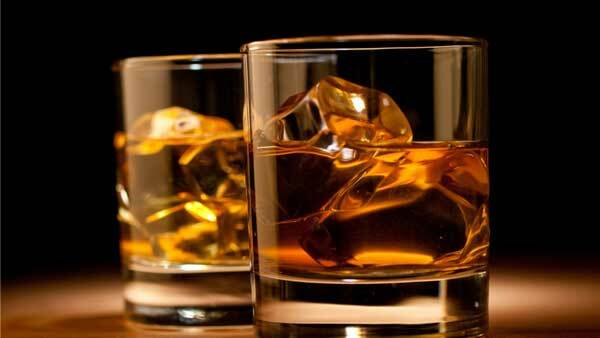 Majority of Indians still drink Beer, Whiskey and Rum. Wine has still to find some foothold in the tough jostle that is market shares. This could be because wine does not get you "high" quickly, nor does it keep you "high" for a long time. It has to be seen as a beverage, akin to soft drinks, that can be incorporated into meals (of course drunk by adults). The sophistication of Indian drinkers will take some time, through education. Education of how delicate is the process of winemaking and how to appreciate it. And to think like a common Indian – "Why the hell does it cost so effing much?" All this is answered. Here. Wine has proven useful in tackling cardiovascular issues/illnesses. This is, in large part, due to the antioxidant property of fruits. The same is applicable to strawberry wine too. Aside from their tart sweetness and unmistakable aroma, strawberries are also rich in vitamins, fibre, and antioxidants. According to the Stalk Institute of Biological Studies, the fruit contains fisetin, a compound that helps combat juvenile diabetes. When extracted and fermented, the nutritious juice gets turned into one of the healthiest wines on the planet. Wine made from fruits other than grapes can also be good for you. The testimonies and explanations from Dominic Rivard, an award-winning wine master, and Dr. Mary Ann Lila, director of the Plants for Human Health Institute at North Carolina State University, who notes that strawberries are full of nutrients everyone needs, to stay fit. Strawberry wine is best consumed fresh. "Keep it light—it lends itself to the Rosé style very nicely," Rivard notes. "It's a fun, easy-drinking, summer-type wine." "The main component in strawberries is anthocyanins—and in the wine, they're concentrated," says Dr. Lila. These compounds are bursting with health benefits: In a University of California Los Angeles study, anthocyanin-rich strawberry extract was shown to destroy human colon cancer cells (even more effectively than blueberry, cranberry, or blackberry extracts). Strawberries contain antioxidants in abundance that help lower bad cholesterol, potassium that counters high blood pressure, and folate that maintains normal levels of homocysteine, an amino acid associated with heart disease. Each glass of strawberry wine is, therefore, packed not only with lots of fruity flavor but also a surprising number of health benefits. 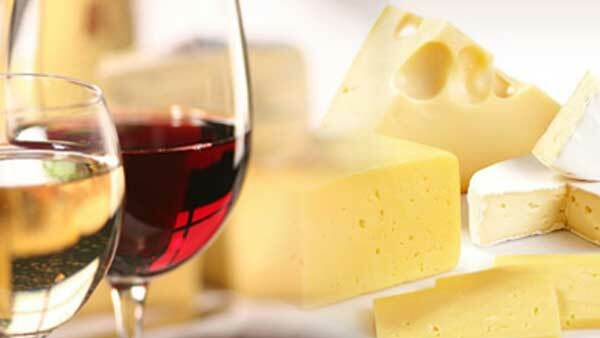 Scientists have long been baffled by what they call the "French Paradox". A country known for its love affair with cheese and red meat, France has a startlingly healthy population. Not only are the number of deaths from heart disease lower than many other developed countries, but mental illnesses such as Alzheimer's and dementia remain much more uncommon than in the UK, the USA, and Canada. Researchers from UCLA believe that polyphenols, found in wine, block the formation of toxic plaques that attack brain cells. In fact, the same polyphenols can actually reduce the toxicity of already existing plaques, thus reversing the early effects of impairment in cognitive function. It looks like that this small habit can have a positive effect on your physical health and your mental well-being. Obviously, this is not an excuse to drink a bottle or two every night, but by drinking strawberry wine in moderation, you can help keep your body healthy in the long run. A tête-à-tête with Dominic Rivard, A World Renowned Wine Maker. 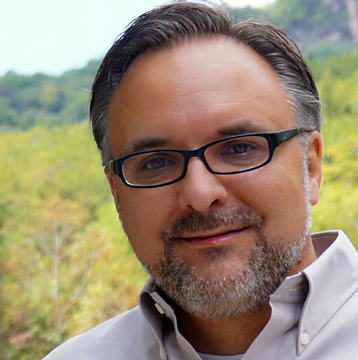 Self-proclaimed evangelist Arun Paria interviews expert winemaker Dominic Rivard and learns about the nuances of drinking wine, how much Dominic loves fruit wine and how strawberry wine is good for India! 'Come On Charlie! '™ is a unique wine. No, we are not exaggerating. It is made from the choicest of strawberries. Sourced from Mahabaleshwar, the strawberries have been given a special status by the Indian government. We are counting on it on getting international recognition in the future. The wine has a fresh flavor and it is recommended to drink it at a temperature of 9 degrees Celsius. So it is recommended to refrigerate the bottles. The first batch of bottles will have 375 ml of wine in it. We are going to come out with a bigger bottle soon. The wine is not hard alcohol. It is meant to be enjoyed with friends without the fear of getting sloshed. The wine makes an excellent accompaniment to Indian cuisine, or any cuisine for that matter! It has 11 percent alcohol by volume. Mild and merry, we say! The process of making wine is an art and a science, and experience is often the only source of such knowledge. Starting an operation that offers quality wine products from the beginning establishes a satisfied customer base, which is likely to return. A master wine maker can help fill in the gaps of missing knowledge by providing expertise and experience that is sometimes hard to find elsewhere. Fermentation is the basis of wine production. The complex organic chemistry that follows fermentation is only just being understood. Just tweaking some methods in the process allows the wine makers to produce many textures and tastes. This process is also very critical and hence the winemaker is very watchful, checking the wine regularly and preventing the development of faults – however it is also a magical time; it's the birth of a new vintage. Once fermentation is complete, the young wine will continue to develop and evolve as it is nurtured to maturity. For the production of great fruit wine, the production of great fruit is paramount. Consistency is important, as well as the ripeness of the fruit. It is important that the fruit is ripe, even a bit overripe, but free of mold or spoilage. When freezing the fruit, it is important to use containers that are clean and designed to prevent freezer burn. Tests for sugar level, pH, and titratable acidity of the fruit should be conducted to determine if the fruit is suitable for winemaking. Wine sales have been steadily rising. The increase in sales between the years 1995 and 2004 was 35 per cent. Exports of fruit wine are difficult to determine. Statistics says, the 'fermented beverages' category dominated by specialty products other than fruit wines, shows a steep rise in exports between 1998 and 2002, and then drops significantly.  The drop does not necessarily mean there is a change in interest in these products, but that other trade factors possibly have come into play. Export markets may play an important role here. Parts of Asia and Europe are also showing increased interest in fruit wines, which may offer potential export opportunities for wine makers. Source: Alberta Agriculture, Food and Rural Development, Canada. You are visiting Wilberry's production factory. You wake up on a mattress, just a mattress and no bed sheet, but are still very cozy. You freshen up and smell the clean, fresh air and your lungs feel strange. They are not used to such purity! The sun is just coming up and the radiance washes over the green hills like golden powder sprinkled over emeralds. You are called in to the winery and you are excited, your first fruit wine. You are a bit nervous too, like your first kiss. You are worried you may miss something, but then you go ahead. You are offered the glass of the ruby-red liquid. It feels cool against your lips as you taste it. It feels like water but is still dry. It smells of the most extraordinary strawberries. If an exquisite perfume had a strawberry taste, this would be it. You swirl the liquid in your mouth and it feels like strawberry heaven. You gulp it down and it is not harsh on your throat. It feels pure. You take the glass outside and the sun is no longer hiding behind the hills. The wine in the glass shimmers in the morning sunlight and you see a faint golden hue in it. Want to get drunk? Feeling thirsty for alcohol? Drink straight from the bottle? Then maybe you need a few lessons to enjoy wine. 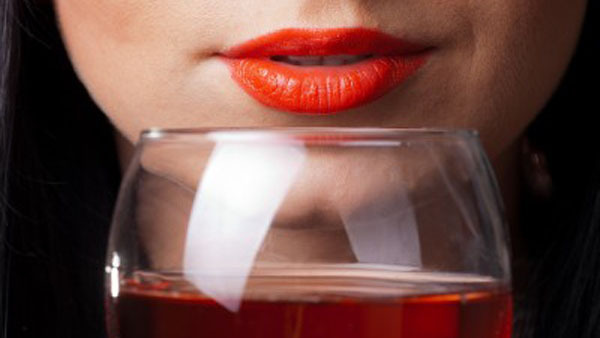 Wine, like fine unblended scotch, requires some patience to enjoy and acquire its taste. But when you do get a handle on it, your whole experience of drinking changes completely! Your first task would be to get a bottle of good wine. I suggest you buy Wildberry, not because we are advertising it, but because it tastes so bloody nice! Then you open the bottle, very delicately so, taking care you don't damage the cork. Pour it into a wine glass with a long stem. Fill about 1/4th of the glass. Take care to hold the glass by its stem, so as not to warm the wine. Let the glass rest for a few minutes. This oxidizes the wine inside. Now take the glass and swirl its contents and enjoy the color against light. Then inhale deeply the aroma of the beverage. Sip and slurp a small quantity of the wonderful wine and slosh it around in your mouth. Really taste it and don't hurriedly gulp it down! Enjoy the taste with a slice of cheese, spicy chicken, roasted salty peanuts, nachos, even your regular dinner. Wine is versatile! And is akin to the guy in the party, who mixes and mingles with everyone in the room! © 2015 Wildberry Beverages Pvt. Ltd.